Two weeks to go until the UK Referendum on Thursday 23 June. The opinion polls and recent surveys make it a close call. Guessing the outcome of the referendum is a difficult game, and taking a large tactical position either way with your portfolio is perhaps no more than a simple bet. A bet where people have hardly been furnished with a balanced argument and real facts on what the impacts may be if we stay or go. The Scotland referendum showed that any movements in currency and markets were short lived, and with the nature of investments being long term we are taking a fairly neutral position. 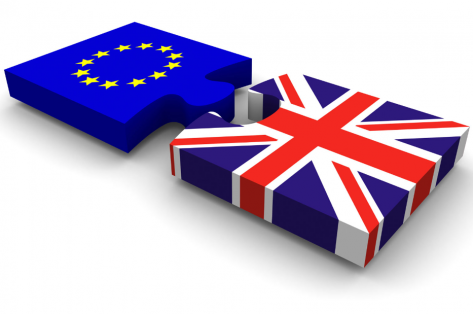 The fund managers we use are generally taking an underweight position on UK equities with the belief that the downside is far greater than the upside should the vote go in favour of a Brexit. Costs of membership – is it too high? Regulation – is there too much red-tape? Immigration – the impact on the economy and potential further increases? Trade and investment – inside or outside – which is best? Markets do not like uncertainty and in the last week we have seen markets turned on their head in the five minute window around the dismal jobs number from the United States. Imminently anticipated US rate hikes were postponed which saw gold rallying heavily and government bonds doing well. Oil has also seen a strong recovery to over $50 a barrel. The Guardian polls early on in the week grabbed the headlines, with both phone and internet polls favouring an exit. Polls from the Times and YouGov followed suit; all with narrow preferences in favour of the UK leaving the EU. This had the impact of the Pound dropping 2.5% on the week and currency is where the bulk of the “Brexit” risk is being felt. Interestingly, the bookies odds were little swayed – still pricing in a 75% chance of the UK remaining in the EU. Expect more noise around this in the run up to the 23rd June referendum vote. If you have concerns ahead of the vote and want action taken with your financial portfolio, or at least would welcome a discussion with your adviser, we would be more than happy to speak to you. Please email info@iepfinancial.co.uk or call 01273 208813 to speak to one of our Independent Financial Advisers.